Just remember to smile when you’re chewing the fish head. The public affairs folks at Air Force Special Operations command had an interesting piece about Raven Claw, a week-long exercise at Duke Field, Fla., that helps deploying advisors tackle situations they might face. The trainees are dropped into “Palmetto Land” to enhance the country with the tactical employment of its aircraft, which the Palmettoites (Palmettitonians? Palmeteors?) will use to fight an insurgency. 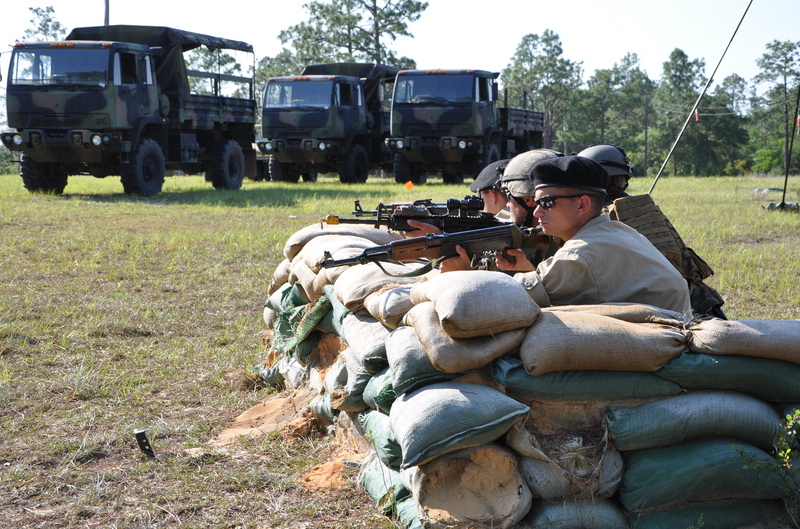 The 371st Special Operations Combat Training Squadron conducts the exercise. The airmen meet with Palmetto Land’s leaders, who might press them to supply night-vision goggles, satellite imagery and gunship support. The trainees also treated to a feast of local delicacies: boiled beef tripe, fish heads, chicken feet and a rice concoction mixed with beef blood and squid. And don’t think about backing out. “Their own kids may go without food, but you’re going to get the very best they have to offer,” said Rodney Rapp, the combat aviation advisor mission qualification course director for the 371st SOCTS. Want to get involved? Candidates for the training must already be instructors in their fields. Enlisted airmen must be a staff sergeant or higher, and the average age of a combat aviation advisor is 34 years old.